When it comes to health, everyone’s needs differ and can vary greatly depending on your lifestyle. This is why I have come to really like Eastern Botanicals because they offer a customized regimen to maintain a balanced and healthy well being to fit any lifestyle. 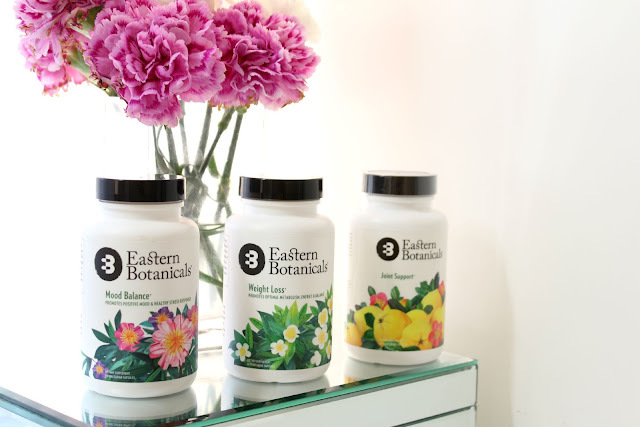 In early Spring, I was contacted by Brittany and Laurent at Eastern Botanicals to try out their line of herbal supplements &amp; after several months feel like its time for a recap. Eastern Botanicals specializes in herbal blends on the principles of Chinese medicine focusing on balancing the elements within the mind, body &amp; Spirit. Mind, Body and Spirit are one in the same and blockages in your energy field (known as Qi) can be detrimental to your health. Before I share my review, let me tell you a little bit more about Eastern Botanicals and their values on healing the mind and spirit. Founded by the fourth generation herbal doctor, Dr. Michelle Dao, Eastern Botanicals is a company founded on tradition and value of health. All products are packaged and manufactured in the USA. Sourced herbs are carefully analyzed and selected and all herbs are sourced to sustainable farmers throughout Asia due to Eastern Botanicals strict standards of approval. Now that you’ve learned a bit about Eastern Botanicals, I will share with you 2 of the 3 supplements I chose, Mood Balance and Weight Loss. I also got Joint Support but have not tried it yet, so I will review that one in another post, coming soon. 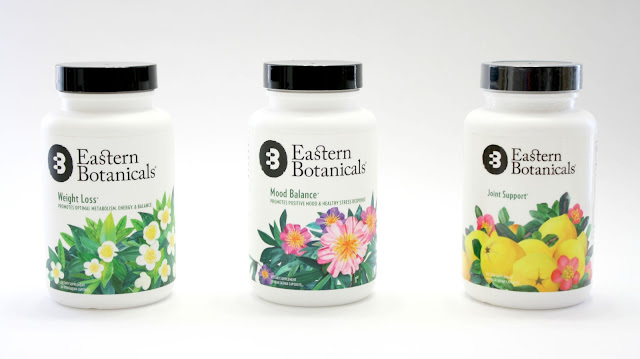 Eastern Botanicals is new for me in the sense that I generally don’t take herbal supplements where a variety of herbs are concocted into one supplement. I typically gravitate toward single herbs or vitamins (Ashwghandha), (Biotin) to better understand how that specific ingredient reacts with my body. As mentioned, this line of supplements are blends to target a specific ailment or need. In this case, Mood Balance deals with stress which I typically take adaptogens for. As you can see the ingredients list above, there’s quite a variety to not only target stress, but also assist the related bodily functions to help resist stress. Here’s some I researched in Mood Balance. Tangerine peel is used to regulate Qi (energy), relieves bloating and prevents stagnation. The root of the white peony treats abdominal cramps related to menstruation, (who knew?) and its used in Chinese medicine to treat bloating and cleanses the liver. American Ginseng is known to help with energy levels, stamina, and boost the immune system, relieves stress, clears the mind and cools your energy as well as treat digestive issues. I supplemented my favorite ashwagandha for Mood Balance on the weekdays during my long work days to fight stress and fatigue. I also make sure to take them right before my menstrual cycle. This helps me remain calm and curb any anxious eating I tend to deal with before my cycle. Mood Balance is also definitely great if you deal with poor digestion, as constipation can lead to irritability, bloating and extra weight in your mid section. Right when I started the gym, (consistent 2 months now! ), I started taking Weight Loss to help boost energy. I stopped taking Ashwghanda which was my main supplement for energy and find I have just the right amount of energy to keep me going through the end of the day with Mood Balance. Here’s a few highlights of some of the ingredients in this herbal blend. Green Tea aids with weight loss and burning fat. Stimulates brain function and reduces stress as well as boost energy levels without the typical crash or jitters. Regulates sugar levels (sweet tooth here!). Plantain leaf what I have liked with herbal blends are the new herbs I’ve been able to research. Plantain leaf contains many vitamins and minerals and is said to be diuretic which helps rid the body of water weight. Senna helps promote digestion and reduces bloating which again, if you were not aware, improving your digestion is key to maintaining overall health and of course the coveted flat tummy. I still have about another month left of supply of each supplement and like how these two combined work for me. I maintain a steady stream of energy throughout the day without feeling jittery or burned out, while maintaining my weight. I take weight loss twice a day on the days I’m working out, which is about 3 to 4 times a week. Mood balance just once a day to keep my mind sharp and digestion regular. Overall, Eastern Botanical is a staple in my medicine cabinet and desk at work. Did I mention how beautiful the packaging truly is? Beautifully thought out and designed featuring the beauty of the herbs they work with.